Air Kiribati is proud to service both Washington and Fanning Islands from Kiritimati Island in the Line Islands with one of our Harbin Y12 17 seat turbo prop planes. 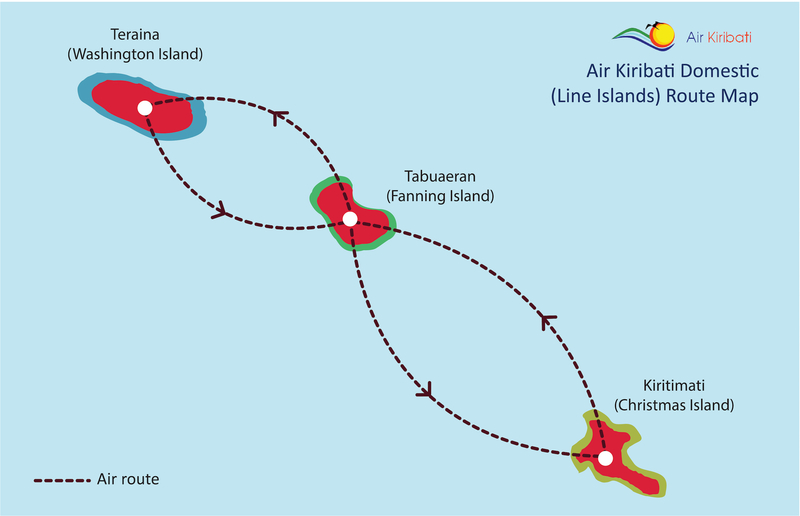 To book a ticket on a flight is easy, either by contacting Air Kiribati's reservation team at the Kiritimati or alternatively by contacting one of Air Kiribati's local island agents. For further information contact reservation@airkiribati.com.ki.